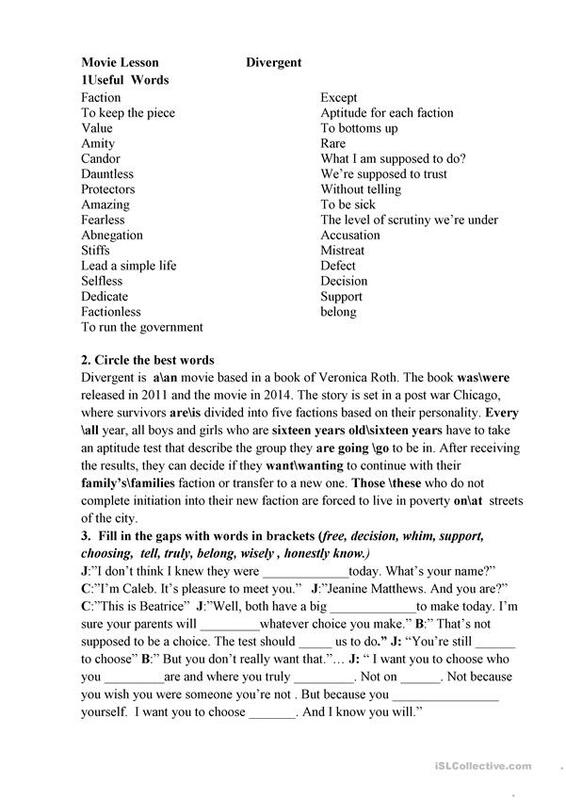 tasks on movie lessons on some parts of film Divergent. it helps to increase speaking skills. You may use any pictures taking from the film. It includes some vocabulary and matching exersices, true false sentenses. 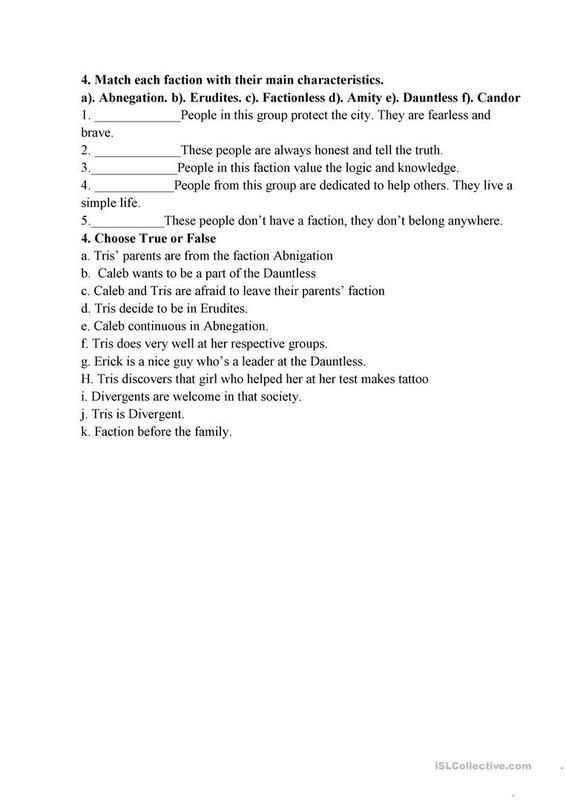 This downloadable handout was created for elementary school students at Elementary (A1) level. It can be used for strengthening your learners' Listening, Speaking and Reading skills.